Prepare to be amazed. Sharp presents the groundbreaking PN-K322B, a professional-use LCD monitor that delivers a stunning level of visual precision. 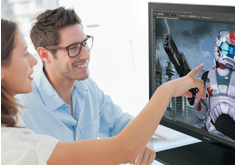 Cutting-edge IGZO* technology enables this monitor to achieve 4K Ultra-HD resolution (3,840 x 2,160 pixels)—four times the detail of 1080p. The touchscreen-equipped PN-K322B means that the potential applications are extremely wide-ranging. 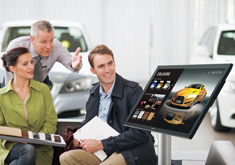 Wherever there’s a demand for the very finest in visual display quality, Sharp has the solution. * IGZO (InGaZnO) is an oxide comprising indium (In), gallium (Ga), and zinc (Zn). IGZO technology offers the key advantages of extraordinarily high resolution and improved energy efficiency. The small size of semiconductors made with IGZO technology enables smaller-sized pixels, which in turn provide stunning high resolution. With 3,840 x 2,160 pixel resolution (4K Ultra-HD), the PN-K322B boasts four times the resolution of 1080p full HD. 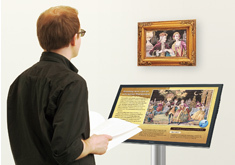 This means users can view all the content of four HD screens on a single, seamless display. 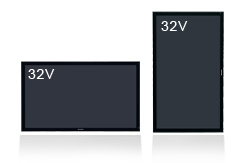 And because IGZO technology supports increased pixel transparency and reduced current leakage, the monitor can operate with reduced power consumption. The PN-K322B can be set up in a vertical (90-degree) or low-angle (25-degree) position thanks to a dedicated stand that allows the monitor to slide easily between the two angles. 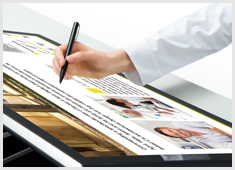 The vertical set-up enables easy viewing of the monitor, whereas the low-angle set-up is ideal for touchscreen operation and onscreen writing by hand. Seamlessly flush with the bezel, the PN-K322B’s full-flat screen is ideal for touchscreen operations that involve swiping from the edge of the screen—for example, using the charm bar in Windows® 8. 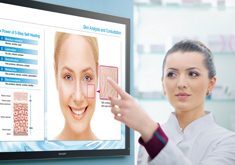 This touchscreen monitor is capable of recognising 10 touch points at once, thereby expanding touch interface applications beyond merely writing on the screen. Users enjoy greater flexibility when interacting with sophisticated graphical content such as architectural designs or high-resolution photographic images. The PN-K322B is compatible with devices running Windows® 8, the latest operating system from Microsoft. Windows® 8 supports smooth and intuitive touchscreen functionality, which can be experienced to its fullest on this beautifully responsive LCD monitor. 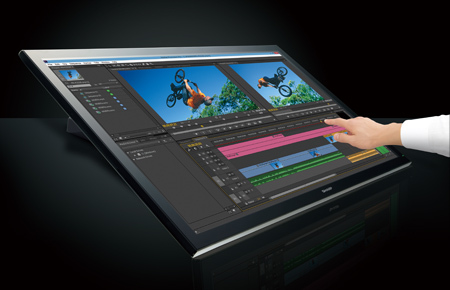 Onscreen input is rendered with precision on the PN-K322B’s touchscreen. This highly sensitive capacitive touchscreen is equally adept at receiving input from a hand or from the bundled touch pen. Users can enjoy the reassurance of stress-free writing. 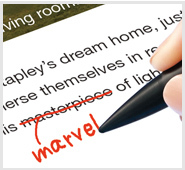 The dedicated touch pen allows smooth and extremely accurate onscreen writing of fine text and lines. The PN-K322B’s pen features an extra-small 2 mm tip that enables users to easily underline text, add notations, draw illustrations, and make amendments to onscreen content. To prevent unwanted hand input when the user’s palm is resting on the touchscreen, a palm cancellation function can be selected to prioritise pen input. 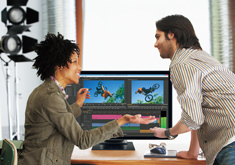 The PN-K322B supports both DisplayPort™ and HDMI™ interfaces. 4K Ultra-HD video signals can be transmitted via a single easy-connecting, clutter-reducing cable. The PN-K322B supports MST (Multi-Stream Transport) mode as specified by the DisplayPort 1.2 standard. A single DisplayPort cable can transfer 3,840 x 2,160 video signals at 60 fps, resulting in smooth rendering of high-resolution video and fluid mouse operation. Built-in speakers eliminate the need for external speakers and keep the monitor stylishly streamlined. The speakers emit sound from both sides of the screen, making it ideal for conveying audio information. IGZO technology and edge-lit LED backlighting enable the PN-K322B to sport a stylishly slender profile. Measuring only about 36 mm at the thickest point, this sleek and lightweight monitor blends in effortlessly in almost any location.